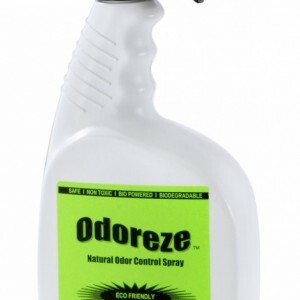 ODOREZE Natural Landfill Odor Control Spray: 32 oz. Concentrate Treats 4,000 Sq. Yards Summary Eliminate landfill odor using the power of nature. 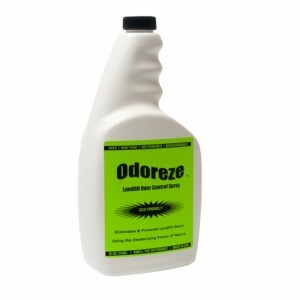 Odoreze™ Landfill Odor Eliminator Spray will remove landfill smell without harmful chemicals. This bio-based green concentrate deodorizer treats 2,000 sq. ft. & really works. Landfill fumes & vapors are no match. Features & Benefits • Removes landfill smell instead of masking them • Bio-based deodorizer made from natural ingredients • No carcinogens, phosphates or harmful chemicals • Biodegradable, non-toxic, eco-friendly & effective • Economical- only costs 45 cents/working gallon • Made in USA Make Landfill Odors A Thing Of The Past! If you oversee or otherwise work in a landfill, you know a thing or two about powerful odors that can knock you off your feet and result in complaints from neighbors. 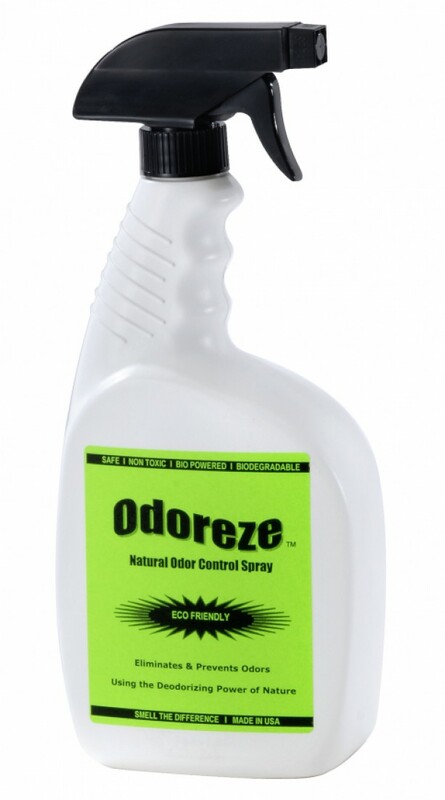 Odoreze ™ Natural Landfill Odor Control Spray is the product you need--it destroys landfill odors without the use of hazardous chemicals to create a much more pleasant environment for neighbors and workers alike. 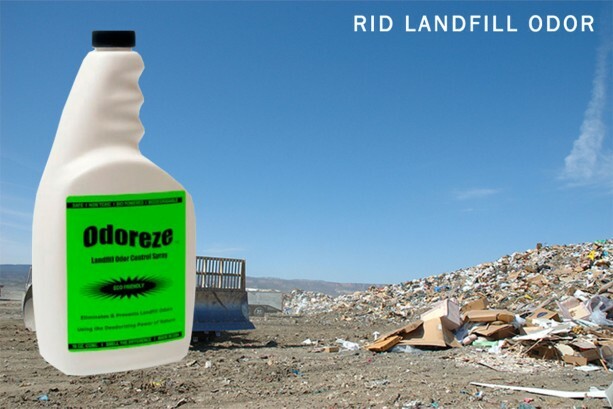 Our landfill deodorizer contains no toxins or additives, and is formulated from 100% natural bio-based ingredients to control nasty stench from a wide variety of waste sources. Eliminate landfill smells by simply mixing Odoreze™ with water to spray down the surface with malodor using a ratio of 4.5 - 34 oz. of product for each 300 sq. yards of surface area manually or with automated equipment. 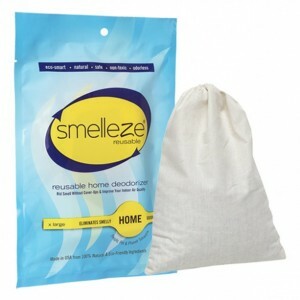 Repeat this application at three to seven day intervals until the odor is eliminated. 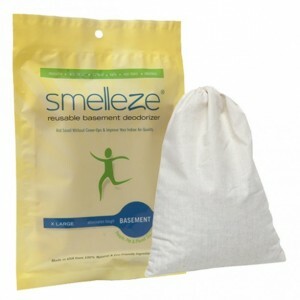 Now you can finally say goodbye to landfill odors with our trusted product and breathe easier! Odoreze™ works using a unique dual action mechanism to knock out landfill odor using a 1-2 punch! Firstly, it starts by immediately attacking and neutralizing landfill odors from odorous gases such as ammonia, hydrogen sulfide, mercaptans, and other gases that create nose-numbing stench. Secondly, this powerful eco-friendly landfill deodorizer controls odors for days after spraying by promoting the growth of friendly odor destroying bacteria to produce long lasting results which continues to build up with repeated use. 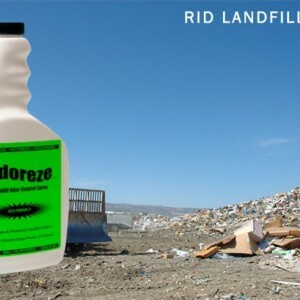 Odoreze ™ Natural Landfill Odor Control Spray features ingredients on the Generally Regarded As Safe (GRAS) list and is safe to use on landfills without the fear of chemical contamination. Our product does not contain any ozone-depleting substances, hazardous air pollutants, nitrates, alcohols, fragrances, carcinogens, chlorine bleach, phosphates, chlorinated solvents, or any other harsh synthetic chemicals. It is made of renewable resources to reduce your landfill’s carbon footprint.